Announcement Welcome to my shop! Every item is handmade by myself with lots of love. I love crochet and I'm so glad to be able to share my work with you. I've been closed for quite some time, so you will notice I've been making some changes to my store. I will be adding new items, so check back to see what's new. 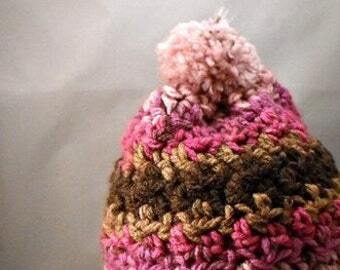 As an expert crocheter, many of my same items will be available that customers have loved. Please take notice of the below items and if you don't see something I don't carry, feel free to contact me. I can make just about anything and I welcome custom orders! 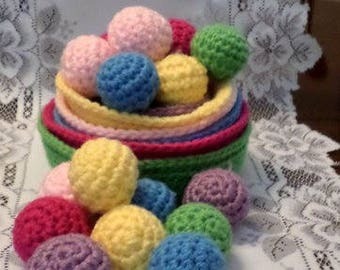 Amigurumi, caplets, shawls, cloche hats, scarfs, wristlets, pet accessories, bookmarks, children's items, boot cuffs and more! Remember to check back aften for new items! Welcome to my shop! Every item is handmade by myself with lots of love. I love crochet and I'm so glad to be able to share my work with you. I've been closed for quite some time, so you will notice I've been making some changes to my store. I will be adding new items, so check back to see what's new. 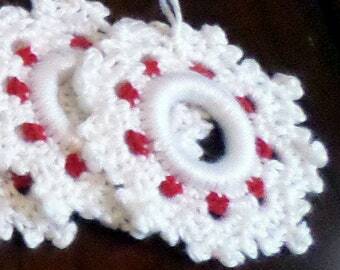 As an expert crocheter, many of my same items will be available that customers have loved. Please take notice of the below items and if you don't see something I don't carry, feel free to contact me. I can make just about anything and I welcome custom orders! 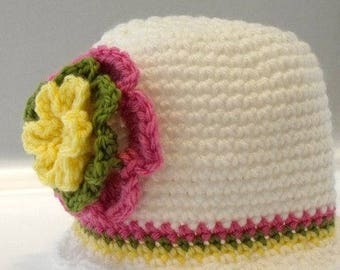 As a young child I would sit and watch my grandmother crochet and embroider. I found it exciting and fun and wanted to learn; so she taught me. With her patience and encouragement, I flourished and spent my spare time with a hook and yarn (except when I wasn’t reading and writing!). She showed me how to do many different stitches and the beautiful items I could accomplish. She also showed me crewel, needlepoint and cross stitch, which I still do today and use in my crochet. It is also one of my favorite past times. She also taught me to sew and always said my stitches were so neat, you could hardly see them. Today, I am the proud owner of her crochet hooks, many are metal and some wood. I spent many hours with her while she taught me her art in quiet silence once I had the basics down. I was always so excited to show her my next project to her and her thoughts on it. There were many times we sat and crocheted together, talking about anything, but mostly listening to her exciting tales of her growing up, meeting my grandfather and having my mom and aunts. Always a wonderful conversationalist, my time flew with her. Our bond grew stronger as I got older and had a family of my own. These times remain vivid in my mind today, not only for the experience and love of crocheting, but because I got to spend time with a wonderful, loving woman whose conversation I loved and miss greatly today. Due unto others as you would have done unto you. Kindness matters, others people's feelings are important and everyone counts! I also believe that it is most imperative to always do your best, be true to your word-- I strive to do so, and have good faith in others that they will do the same. Enjoy my goodies and let me know what you think! My main focus is my customers happiness! Please contact me for any concerns! I certainly hope that you are satisfied with my lovingly created item, however, if there is an issue that concerns you please contact me. If you are not completely delighted with your purchase, please notify me as soon as possible, so we may discuss a return or exchange of your purchase within ten (10) days of receipt of your article. Any and all returned items must be in ORIGINAL condition. Any shipping and handling fees will not be refunded. I will be happy to make a repair if possilbe, at shipping cost only to you. Please Make Sure that you read the item description thoroughly and email me if you have any questions. PayPal is very much preferred as it is easier and quicker. Shipping cost is based upon the price of the item. I have no intention of charging ridiculous amounts for shipping, but do a general estimation of the charge. Please note that orders are generally shipped from New York via New York Postal System, using Priority Mail. I do ship USPS standard if the Priority is too expensive and would cost more than the cost of the item. All packages are shipped with USPS Tracking for your convenience. 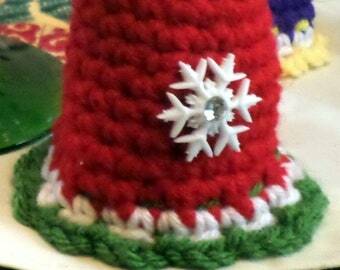 Please use all items purchased from Fairy Thimbles responsibly and use common sense. Some items are choking hazards, so please do not let children/pets chew on or put in mouth. My items should be either handwashed or washed on delicate or handwash cycle. Lay flat and air dry. I attempt to recreate the colors in the photos as best as possible, but please allow for error.